Even though I have made a lot of Valentine crafts this year, I still like simple decor. So far this season I made hand stitched hearts, a succulent heart wreath, silver metallic clay hearts, and a Valentine wooden flower crate (covered in paper napkins). I like subtle decor that offers a slight hint of the holiday. I like a light touch of holiday decor and today’s craft is exactly that. 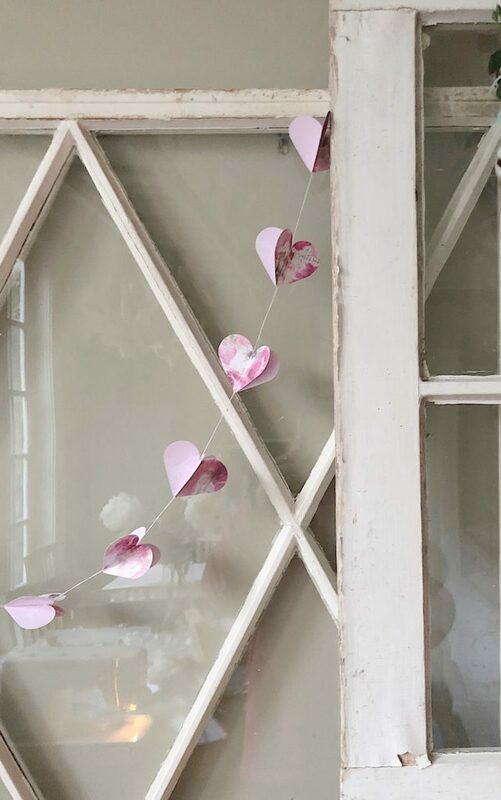 Today I am sharing a simple Valentine Heart garland that I made out of scrapbook paper. I love how it looks on my vintage white windows. And it was incredibly easy (as in no cutting!) because I used a hole punch. I am finally making progress decorating our home for Christmas. 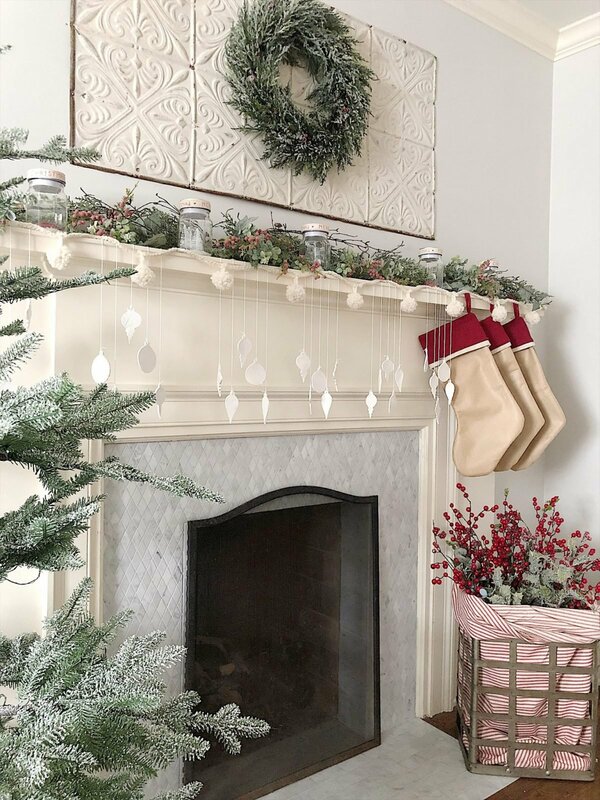 My theme for this year’s decor is a red and white farmhouse Christmas. I am excited to incorporate a combination of purchased decorations as well as a lot of homemade DIY Christmas decorations. So you can imagine how thrilled I am to partner with JOANN and I am so happy with the result. Their holiday greens are amazing and the three DIY Christmas projects were so much fun.